When you are getting started with shipping a car, it’s important to know all the details of how this industry works. Shipping takes place from one location to another on a car carrier. There are plenty of reasons to ship a car instead of driving it. Moving/relocating is usually at the top of the list, followed by seasonal shippers (snowbirds). And finally those buying a vehicle, usually online. Regardless if it’s to a new town or a new state, nothing beats the safety and convenience of having a vehicle shipped. You might choose to fly and have your car hauled to its destination, for example. First, you’ll need an instant and accurate quote to ship your car anywhere nationally. No phone number required. You get your rate in moments thanks to our instant car shipping calculator. Since we don’t require personal information, it takes seconds. We are one of the few companies that understand you want to make your choice, not have one pushed on you. We never bombard you with phone calls or emails. We do not sell your information. After receiving your quote, you can book your transport. At this point, we’ll need some more information about you and your vehicle(s). This will include the pickup and drop-off information, as well as billing information for when we set up the carrier to come get you. Remember, the great thing about working with National Express is that you never get charged a penny until we have a carrier scheduled to come get you. Then comes the part you’ve been waiting for! When we schedule your pickup. Once your vehicle is assigned a carrier, we’ll send you a dispatch notice. This is an email with important information such as the date of pickup, expected delivery, and the driver’s contact information. The driver will then reach out to you to confirm dates and times. Just like manufacturers ship cars to dealerships, you can have your vehicle ride in these large carriers. As you would expect, auto dealers employ the services of auto shipping companies, although much more frequently than private individuals would. When you’re referring to the shipping of cars, it can also be referred to it as car shipping, car hauling, car transport, long distance towing, or auto hauling, for example. But it’s all the same. These days, when you’re shipping your car, you not only have to worry about choosing the right company to do the actual loading and transporting of your car, but you also have to think about which companies you want to trust with helping you arrange the details of the shipping. There are three major types of companies that you might choose to deal with when shipping your car: lead aggregators, auto transport brokers, and, auto transport carriers. Each of these will offer you a slightly different service to the others. Lead aggregators are just companies that exist almost completely online. 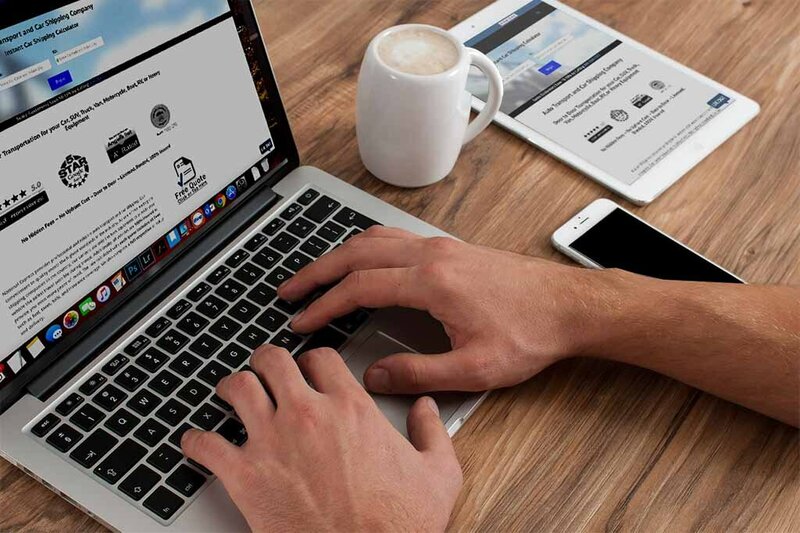 What they do is ask you for information about your car and your shipping requirements, and use that information to connect you to brokers or carriers. But unfortunately, just like most things that are purely internet based, using them comes with some risks. They are not reccomended. When you do your Google search and end up on a lead aggregating site, it’s almost impossible to tell if the website is legitimate or if it’s simply a scam to collect personal details of innocent people for malicious purposes. Considering that the information you get from these kinds of sites is almost identical to what you could get if you had just searched directly for brokers and carriers, running the risk of putting your details into their forms might not be very advisable. Auto transport brokers also connect you to other companies by act as a liazon between you and your carrier. They deal with handling all the details involving the auto shipping. They will be responsible for not only making sure the carrier you use is reputable and has up-to-date insurance requirements, but they will also handle claims for you should any mishap happen during the shipping. Few of us can confidently say that we know exactly what to look for when searching for a shipping carrier. That’s why it’s advisable to use companies like brokers. Reputable auto brokers are usually experts in the shipping industry and they’re more likely to know which carriers are trustworthy, safe, and affordable. 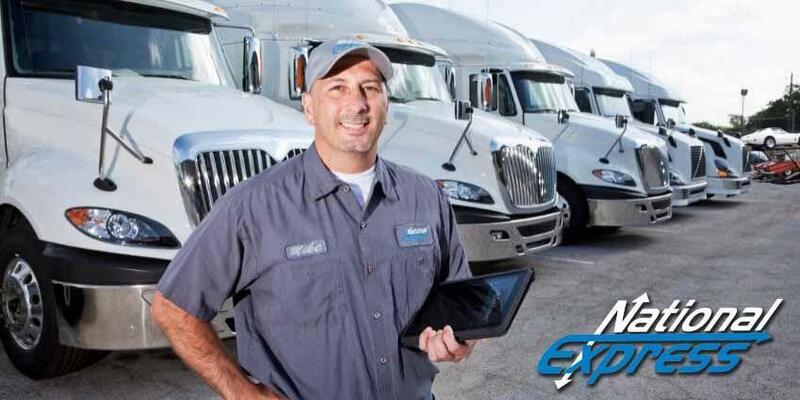 In addition, repairable auto brokers will be able to connect you to your best carrier much easier than you would on your own because they have access to many resources and trucking companies. They can also use load boards. These are places where auto carriers go to find new loads and contracts that they can carry out. All that a broker has to do is create a lead for your car, to which carriers can reply with their own quotes and bids. That way, the broker will be able to compare the offers available to you at that particular time, filter out the suspicious looking ones, and give you the best deal you could have. If you want the shipping of your car to be as stress-free as possible for you, then you probably want to use a broker. You might be thinking of bypassing the broker option, in which case you would have to go directly to the auto transport carrier. Auto carriers are the companies that would do the actual shipping for you. They are the ones that will be responsible for loading, transporting, and delivering your truck to your chosen destination. You might think that since this option will allow you save money on a broker and to have the most accurate information regarding your shipping, it must be the best option. But that’s not necessarily the case. If you go directly to a carrier, you will have to take on all the responsibility for the shipping all the way from contracting the most suitable carrier, to making sure they have the right insurance, and noting any damages or mistakes in the delivery on the bill of lading. You will also have to make sure you have enough time in your schedule to take on all this responsibility, and that it will not cost you in lost productivity. Unless you are someone affiliated with the shipping industry, or you happen to have studied a lot about car shipping, chances are you will miss some details in the shipping that might cause you a great deal of annoyance in the future. Keeping in mind that a broker’s sole job is brokering so they would be particularly skilled in it, it’s quite unlikely that you will be able to do a better job doing it for yourself. Your shipping experience might end up being unnecessarily time-consuming, stressful, and expensive. The cost of shipping your car will depend on some of the factors listed above. As mentioned, our car shipping calculator will be your best option in order to get your rate. It takes in all the factors that can affect your price to give you the most accurate price possible. But for those that want more detail, we are glad to give you a basic breakdown. The type of auto shipping companies you choose to work with, the type of shipping trailer you specify, and the type of shipping service you find most suitable will factor into the cost. Fortunately, we account for all those factors in your cost to ship. Naturally, the further away you wish to ship your car, the more the shipping will cost. Your shipping company will have to spend more on fuel, and the truck driver will have to spend more time on the road if you’re taking your car a little further away. You as the customer will have to carry some of those costs. The cost of shipping doesn’t increase linearly with the distance though. Usually, you pay a higher per-mile cost for the first 500 miles or so than you would for 1000 miles and over. Our online quotes range from $0.75-1.54 for the first 300 miles and $0.30-0.46 for anything above the 1000 mile mark. The per-mile costs may be higher or lower depending on the auto shipping company you and your broker choose. Where you ship your car from and where you wish to ship it to will also determine the cost. For example, in metro areas, the population is higher so the demand for shipping companies is much higher. Also, most shipping companies usually base their routes around metropolitan areas where the roads are more suitable for the driving the large hauling trucks. The combination of higher demand and high competitive supply means that most companies will keep their costs fairly low when you’re shipping between metro areas. On the other hand, in rural areas, not only is access limited, but there are also fewer people looking to ship their cars. So because it’s outside the customary routes for shipping companies, and they won’t get many customers there, shipping companies will drive up the prices to make it worthwhile for them to go venture out to the countryside. The shipping industry is like any other industry. It has a high season where higher demand drives up the prices, and a low season where you might be able to ship your car at a fraction of the high season costs. Summer to early fall is the high season for auto transport companies. With many people wishing to take advantage of the warmer work-free months for travel, the number of people looking to transport their cars is much higher. Shipping companies will charge you more because they will have the freedom to welcome other customers in case you decline their offer. Not every auto shipping company drives up their cost in the summer though. Companies that don’t have as strong of a customer base as the major carriers might look at the summer as their chance to gain more customers with lower bids so they might keep their low season charges. Expect to pay more if you’re shipping an exotic or classic car that is fairly high in value. You would probably be charged more for a Ferrari than you would for a Honda. This not unnecessary discrimination though. Shipping companies have to charge more for cars higher up on the luxury scale because it costs them more in insurance when they transport these cars. The size and weight of your car will also play a role in the costs. As you may expect, larger and heavier cars cost more to transport than their smaller and lighter alternatives. If your car is larger, it will be taking up space that could have been used for another customer’s car, and if it’s heavier, it will be chipping into the weight allowance that could, again, have been used for someone else. Some of the cost on a shipping company’s quote or invoice to you will be for insurance. It’s legally required for them to have insurance for their cargo, but the insurance deductible might not necessarily be applicable to you depending on the policies of your own auto insurance company. Some car insurance companies will cover accidental damage during shipping while others will not. If they do, you might be able to tell your shipping company to exclude that insurance deductible for you if you just provide them with proof of coverage. How Long Does Auto Shipping Take? The length of time your car takes to reach its destination will depend on the weather conditions on the roads, the distance to be covered, the budget you have for your shipping costs, and a number of other factors. These variables make it quite difficult to predict accurately how much time your car will spend on the road. Things like snow, hail, and thunderstorms will delay a hauler. If you ship your car in the winter, it might take longer than it would in the summer if the roads happen to be unexpectedly covered in snow. And if you’re really unlucky, and your hauler happens to get stuck because of a hurricane or tornado during the shipping, expect your car to take even longer to reach the other side. As you might expect, the further you have to ship your car, the longer the time it will take. If you’re shipping your car just to the next state, then you might see it there in 2-7 days. On the other hand, if you’re shipping your car all the way across the country, some say you should expect to wait up to a month to see your car on the opposite coast. Should you happen to be shipping your car to a different country, expect it to take even longer. Here it won’t only be the distance that factors into how long it takes. You will also have to schedule time for the legalities that you and your shipping company will have sort out to get your car over the border. Depending on your choices, your carrier might have to make several stops along the way to pick up or drop off other cars. That will make your car take longer to get where you want it to be. On the other hand, if you happen to choose something like air shipping, your car will reach the destination much faster than it would with land transport. You may also choose to pay extra so the shipping of your car could be expedited. A lot of auto shipping companies have this as an available option and it works well if your schedule has little flexibility, and you need your car on the other end as soon as possible. Despite these guidelines, you have to remember that the length of time it takes to ship a car is not necessarily just the amount of time your car spends on the road. After you book your shipping, you might have to wait before your car is assigned to a departing carrier. Following that, you might have to wait again if the carrier you are assigned to leaves much later than the assignment date. Then only do you get to the time your car spends on the road. And in the end, how long the process of shipping your car takes will depend on how efficient your auto carrier is with the logistics around auto shipping. Auto shipping is certainly a complex industry that takes a little longer than a minute to understand. Hopefully, the minutes you just spent trying to understand it have left you with a much clearer perspective about the business. A lot goes into car shipping. Drivers are professionally trained, licensed, and insured. Having a qualified auto carrier capable of handling the responsibility needed to move nine cars across the country is paramount. The auto shipping industry is booming. It is considered as necessary as health care, tech, or the food industry. Everyone needs doctors, tech to be productive, food is needed toto live, and all that ties in to freight. Transporting vehicles is just one type of interstate transport that is necessary and will never go out of style. Routes must make sense. A carrier shipping a vehicle has already skillfully planned a schedule to make the transport as cost efficient and time efficient as possible in order to maximize the use of their time and resources. Some carriers focusing on specific routes are booked all year long. Others work less rigorous schedules. Many customers wonder why some transports are planned days ahead, and others are dispatched just days before the pick up date. The answer is volume. When a more rural or less travelled route is organized, the dispatch department plans farther ahead, looking to have vehicles accumulated to make the trip make sense. Other trucks are filled so quickly, that they are planned last minute because these carriers pick and choose from the wide variety of available loads in a radius available from that moment or up to 48 hours later, hence why some customers do not get notice of pick up being scheduled until a couple of days prior to their move. That’s why we say 1-3 days for common routes and up to a week for less common routes from your first available pickup date. Here’s something you may not know. Everyone is a broker. Let’s say it’s our trucks. We can only have so many in a limited number of areas at a time. Even if we had the largest auto shipping fleet in the U.S., there’s no way to have a truck in a every area needing transport at any given time. If we could have that many trucks on the road, not a day would pass that you would not see a carrier with the National Express Auto Transport logo on it. The difference is in the network. Having an established network or proven carriers is the key to customers having the best service. Having a known database of trucking professionals means they were -selected- to join our list and are -allowed- to move vehicles for us. Newer companies or those that have little regard for customer service do not filter their carriers. They simply hand off loads to the lowest bidder. That creates the lowest form of customer service possible. Most auto shipping is organized on to large car transport carriers. Sometimes, on more local moves, especially those under 500 miles, a smaller carrier is used to transport your vehicle, as also pictured above. There are many configurations, makes, and models for smaller carriers, however the example above is representative of what is most typical. All transporters are required by the FMCSA to be licensed, bonded, and insured. The average insurance for our carriers is a million dollars. Carriers are required to maintain licensing and insurance or could face civil, even criminal penalties. You’ve probably seen two level trailers on the road hauling a number of vehicles that are traveling from one place to another. That’s what you get with what is called open carrier car transport. Your car will be shipped on a truck and will be going to its destination elevated and protected. Open carrier is the more affordable shipping service and the better visibility makes it easier for truck drivers to inspect the vehicles while they’re in transit. Also, because open-air trailers are often much lighter than their alternatives, this type of shipping is more fuel efficient. It’s the option you want to go with if you are looking for value for the price. Although this is the most common method of shipping, open transport might not be the best option for exotic or rare vehicles. Because your car will remain exposed to the air for the duration of the shipping, there will be a very small risk that it can be damaged by incidental bad weather or road debris. So if you’re shipping an exotic or classic car and you’re worried about keeping potential damage to a minimum, you might want to go with the alternative to open-air transport, enclosed car shipping. This car transport service will provide your car with additional protection during the shipping. Your car will be shipped in an enclosed trailer that has a roof and all four walls so you will not have to worry about your car getting scratched or dented if the shipping truck happens to encounter snow or hail during the shipping. Enclosed transport is usually pricier than open-air transport, but it might be a worthwhile investment if the car you are shipping has a high value. You would like to avoid any risk of damage as much as you can. With enclosed car transport, you will also have the additional comfort of knowing that your car is being shipped with higher insurance policy limits. Like most carriers, we take out more insurance for our enclosed freights because these usually tend to be cars that are much higher in value. Most people consider this the most convenient method of shipping a car. Your car will be picked up at your home, office, or other area designated by you, and it will be dropped off right at the destination of your choice. You will not have to go through the inconvenience of driving your car to or from a storage location or arranging additional transport back home after you’ve dropped off your car and to the storage location to pick up your car following the delivery. Door-to-door transport is also considered safer than its alternative, terminal-to-terminal transport. With terminal-to-terminal transport, your car will have to spend some time at a storage location on either end of the journey, and you cannot be sure about the safety measures employed at these locations. If the area you want your car shipped to is a residential area with narrow roads that are difficult for large hauling trucks to navigate through, you might have to settle with having your car dropped off at a parking space or other point close to your desired location instead of having it dropped off right at the destination you want. In addition to navigation difficulties, the laws of your town or city may prohibit large trucks from entering residential areas. Regardless of the situation at hand, National Express’ network of carriers will always make sure your car is delivered with the least amount of inconvenience to you. As mentioned earlier, if the car you wish to transport is valued highly because it’s an antique car or an exotic car, you choose an enclosed transport service to carry out the shipping safely for you. Your car will be handled by experts who will make sure that it reaches the destination in the same condition you left it when you handed it over. Professional car shipping services will take additional precautions when handling your valued vehicle to keep potential damages to a minimum. Not only will your car be shipped with air ride suspension for a smoother journey, but it will also be loaded onto the trailer using hydraulic lift gates to prevent damage during the loading and unloading phase of the shipping. Your car will also be secured using wall and floor mounted brackets to prevent shifting and swaying and drip guards will be put in place to prevent potential leaks during the transport. You can also request that your car be placed at the top level of the trailer so you don’t have to worry about damages by leaks from vehicles above you. If you would like to avoid the inconvenience of spending too long of a time without your car, or you would like your car delivered at the destination by a specific date perhaps for an event or other commitment, you can choose to go with expedited shipping. With this option, you will be able to see your car at the destination faster with almost immediate pickup. Expedited shipping will cost a little more but this will be a small price to pay for the added satisfaction and convenience that comes along with it. You will also still be able to enjoy the advantages of normal shipping. Your car will be fully insured during the transport, and you will still be able to choose between open-air or enclosed transport depending on which one you feel most comfortable with, and you will still have the convenience of having your car picked up right at your home or office, and dropped off directly at the destination. If you have any additional questions about the services we offer, feel free to visit our FAQ page or to contact us directly. The average car transport carrier can cover around 300 miles a day on a full load and if the route is planned efficiently. Some coast to coast auto transports occur very quickly because there are no pickups or drop-offs in areas between both locations. A great example would be A car shipping route going from Los Angeles to Miami or West Palm Beach to New York City. There are safety rules that each carrier must abide to. An auto transport driver can only drive a total of 11 consecutive hours if they have rested 10 before that run. He or she may not be on duty more than 14 hours. That can include driving or other tasks having to do with the transport. Again they must have rested 10 hours to work the maximum of 14. The driver of the carrier must stop driving after 8 hours since the last sleeper berth break of at least 30 minutes. (Berth means on a bed or bunk that can be on in the transporter’s cabin.) Most driving is limited by the 60/70-hour limit. Driving time is to be no more than 60 hours within seven back to back days, or can drive up to 70 hours if working 8 days nonstop. Years of hard work and experience have allowed us to grow into the car shipping company we are now. Since day one, we have worked relentlessly to build our carrier network. We have built a system from the ground up. From our car carrier and customer management software, to our website. All centered around a principal foundation integrity and honesty in the car shipping and transport business. The results are passed on to you. And because of you, the customer we continue to thrive bringing costs down. It’s all thanks to people like you. You refer us to your friends and family. You come back again when you need us. Car shipping is a huge industry. Not only are companies like us competing for your business, customers are actually in competition for available truck space in high volume areas and times of the year. This means we need to be quick and responsive to meet these demands, especially during these times of year. Reputation gives us the edge. Our working history with our network of car carriers, as well as standing with owner-operators all over the country make us your top choice to ship your car. 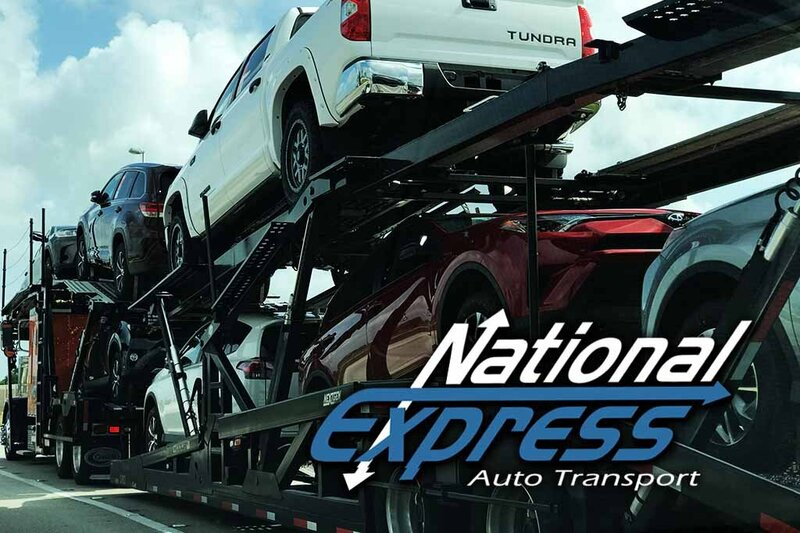 National Express Auto Transport has a network of established carriers and access to thousands of additional owner operators around the United States in good standing with the FMCSA and the DOT. We provide you with the lowest and most accurate pricing possible. Period. No Games. No hidden fees. A solid solution. If you are just starting to look into getting your car transported, you may have begun to notice that it’s not as simple to pick the right company. There’s lots of different prices you might be getting and a lot of talk about what to expect if you pick a transporter that is not qualified. To help you in making your choice, it’s good to know that there are three types of segments in the car shipping business. First we’ll go over brokers. This is the largest segment. This is because the majority of car transporters on the road are run by owner–operators. Each one usually sticks to a specific route or area and specializes in it. A good company will have an established list of these car carriers for any given area. When you contact them for a car shipping rate, they use the prices that the truckers are charging in any given area to any given destination and then get you a price. When you order, they assign the carrier to your car shipping order and dispatch it to them. It is a symbiotic relationship. One does not work without the other. This company doesn’t have any trucks and the driver of the truck does not have any way of generating customers because they they drive for a living. When dealing with the best car shipping company with the best carriers on their side, it will provide the best results for everyone. The second type of company is an actual direct carrier. There are very few of these. For the most part they specifically handle certain areas. Availability is determined by their own schedule and available trucks. This creates an auto shipping bottleneck because a carrier covers a limited area and they may not be arriving or departing from certain locations for some time or go to them at all. Be sure to check out this great post about using carriers not brokers. You may also want to visit this the FMSCA Website for information. The third segment isn’t a vehicle shipping company at all. They are not even licensed. There are known as lead aggregators/providers. They collect information only to resell. Beware of Lead Providers. Read below for more information. These are firms which appear to be an actual auto shipping company, but just exist to just to sell the information you filled out to various transport brokers. Usually to about 10 or up to even 20 at a time making flooding you with calls, emails and even texts. Since those participating in these programs are well aware that their quote is in competition with possibly 20 others they will provide very low and inaccurate quotes to solicit an order and in some cases charge upfront to help prevent you from trying to go with a competitor. These are where most of the the problems most customers share originate from. including negative talk about the competition and effectively trying to scare customers to book with them. You will notice it will be a different kind of salesperson and quote when it comes right from the source. Unfortunately, in many cases your pick up date will fly by without notice or the price will change. Some will tell you the previous price was an estimate or disclose the increase in the form of undisclosed fees. National Express does not participate in buying leads. We do not practice those types of sales tactics. Learn what happens when you get a rate from these sites.